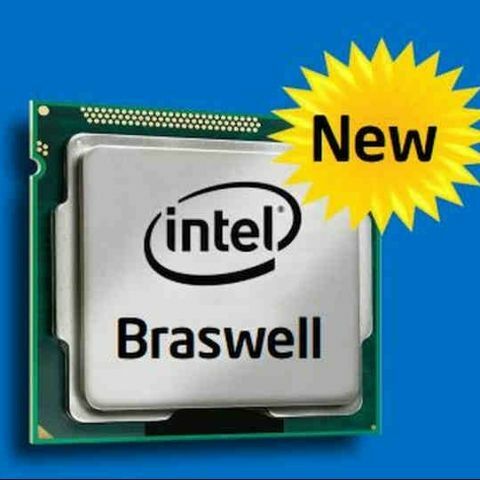 The new Braswell chip will offer improved power efficiency and performance and replace Bay Trail processors on entry-level PCs. Intel revealed a new next-generation Atom processor for low-cost mobile devices at its developers conference in Shenzen, China. The company also revealed a new 64-bit Android KitKat 4.4.2 kernel. The latest system-on-a-chip (SoC) is being developed for entry-level devices and is touted to replace Bay Trail processors. Braswell will have a 14nm architecture as compared to 22nm manufacturing process on Bay Trail. The reduction in size will offer better power efficiency and boosts in performance. The new SoC will also make use fo Intel's latest graphics technology, Iris. "Today I want to announce the code name of the next-generation Atom microarchitecture–based PC called Braswell. It'll be a leading 14-nanometer technology, delivering even lower bill-of-material (BOM) cost and higher performance," Intel SVP and GM of the PC client group Kirk Skaugen said at the conference. 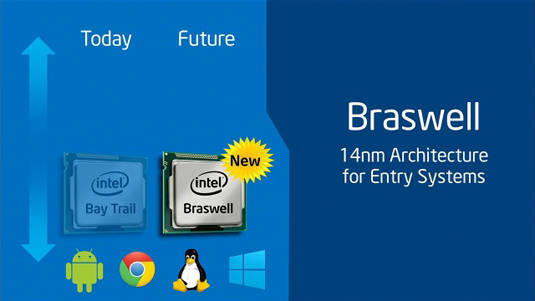 Intel claims that the new Braswell chip is ideal for major upcoming Chromebooks running Google's Chrome OS with a price of under $400. Despite making all the announcements, Intel hasn't given an official date of Braswell's release which means the company may still be working on it. The company also released a 64-bit kernel for Android as well. "Intel is the first in the industry to deliver a 64-bit kernel for Android. We're bringing that to the market." Skaugen said. Intel has set up a resource site where developers interested in working on the new kernel can download even though it is supported on limited systems as of now. List of 64 bit Android Mobiles? What is the features.? Can\'t revert back to 64-bit windows 10 from 32-bit windows 7.